When I was six years old, my uncle took me to a leisure centre and introduced me to squash as a hobby. I enjoyed playing, just as something fun to do. It got competitive when I was about 10. Through my teens it got more serious and I was playing all over the country and in Europe. When I was about 16, I was number 1 in England and I could see it might be something I could do full time. I turned pro at 18. I love those days when everything clicks and falls into place. When you play from the subconscious. You feel you’re one with the racket. I love those times. Winning is important of course. That’s what drives me. Working hard at something and reaping rewards. Anything you do, do it with purpose and meaning because when you see the results you’ll know it was worth it. Becoming world champion would be the ultimate success, but you have to enjoy all the other successes along the way too. I love the big matches, the big occasions. Playing on the glass court against the ‘big’ guys. We go to amazing places and those big-match occasions remind me how lucky I am to do this for a living. Winning the European junior championships was probably the most significant moment of my early years. But I got my first senior England cap at last year’s team championship and in December I reached the Quarter Finals of the Hong Kong Open, my first in a world series. Of course, being selected to represent England at the Commonwealth Games was huge. That will be the biggest moment in my career. I love those days when everything clicks and falls into place. When you play from the subconscious. You feel you’re one with the racket. When you understand why you’re working hard you’ll know how to approach the game. I think this is really important to get the best out of yourself. I do one on-court session and one off-court session each day. When I’m off court, I’m in the the gym for a mixture of strength and conditioning, intervals and circuits. I also like to stretch and do yoga. On-court stuff is a mix of solo practice – routines, conditioning games with a partner or match play. Sometimes we have league matches in the evening. It’s important to consider both your mental and physical condition. I think one complements the other. If you’re in good physical shape, you’ll have good mental strength. It’s hard to train mental strength but having that base behind you helps. I think the two are pretty closely related. I always had a good skill level, good eye for the ball and played a natural game of squash. But at 18-19 I wasn’t fit enough. My coach said it would take three hard years of graft at a world-class level which I could then build on. That’s been a great challenge, but I’m now there. With mentality, it’s a matter of learning about myself, what works for me and what doesn’t. Mentality is the most important, as I think if you’re prepared to do the most, put yourself through the most, you’ll come out on top. That’s a slight generalisation, but learning to be mentally stronger is always an advantage. To work hard, but to do it with mental application. When you understand why you’re working hard you’ll know how to approach the game. I think this is really important to get the best out of yourself. That awareness can help if you have a bad match, or a bad day’s training. It’s important to take your mind off of things. If you judge yourself straight after, you can often get things wrong. I give myself time to forget about it, then I reflect on what went wrong and talk to my team to get their observations as they’ll have a different opinion. Then we find some middle ground and get back to training. As soon as I have a good week of training my confidence comes back. Role models can help you too. Growing up, Lewis Hamilton was someone I looked up to because he came from nothing and rose to the top. I admire Anthony Joshua because of his personality, the way he conducts himself and the way people talk about him. I want to be someone who others talk about positively. 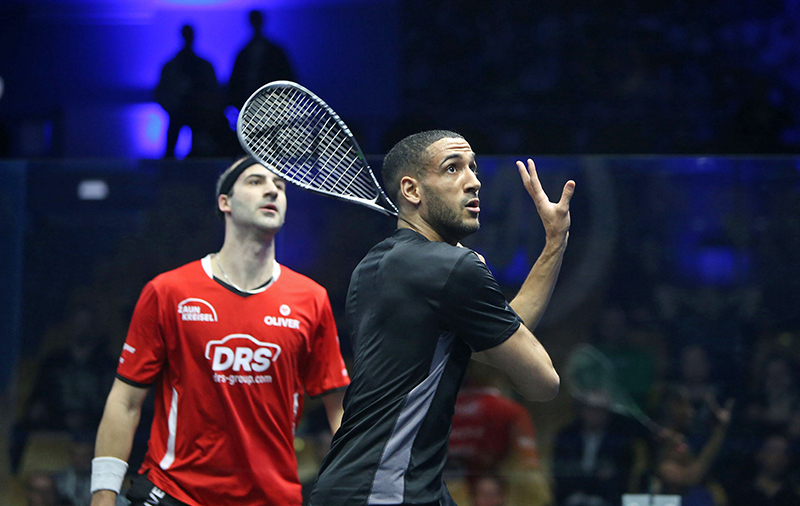 In the squash world, my role models were Nick Matthew and Amr Shabana (Shabs). I learned a lot from Nick. Shabs was one of the greatest players ever. He made the game look easy. If there’s one playing style I could emulate, it would be his. When I’m travelling, I try to keep in touch with my friends and family at home and I try to settle into a routine. The quicker you can do that, the easier it is to normalise the travelling. You treat it as if you’re working, we go to some amazing places but keeping your work head on, keeps you in a normal mindset. The New York Tournament of Champions is an event I enjoy going to. New York’s one of the coolest cities in the world. The crowd are super passionate and Grand Central Station is an incredible venue. It’s amazing to play there. Away from squash, I like to watch tennis and boxing. I don’t really play any other sports, but if I get the chance, I like to get on the tennis court. To relax, I like to chill at home or find a coffee shop to read in. Coffee and reading are big pastimes. If I’m not doing that, or playing squash I’m socialising with my friends and family. 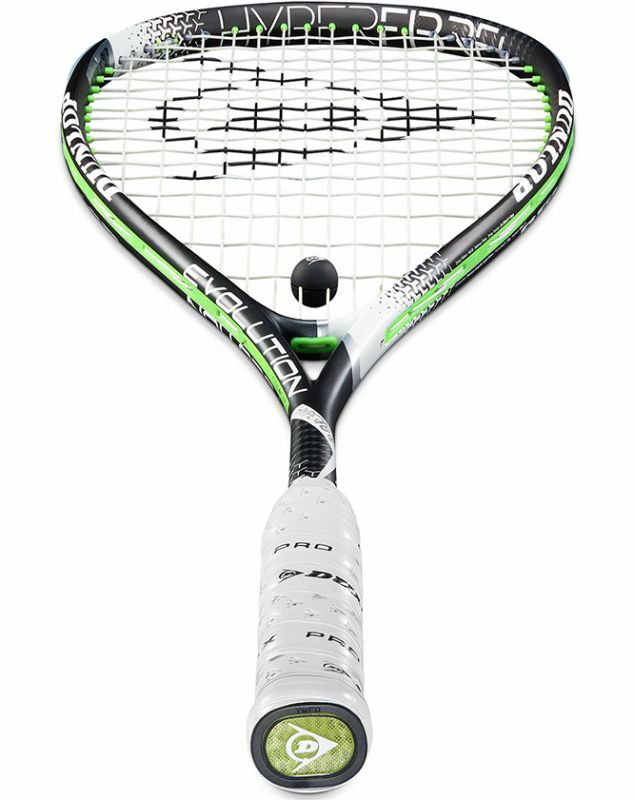 The hybrid frame shape gives you the optimum blend of power and control.